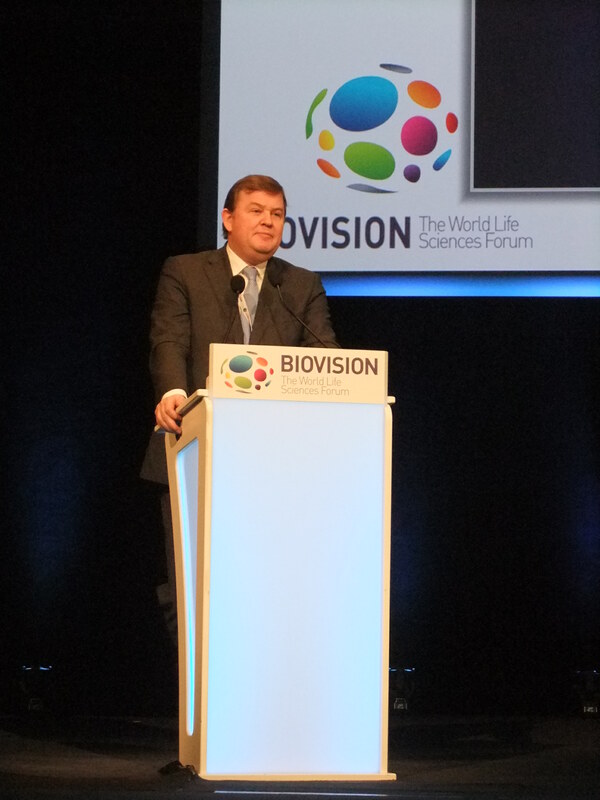 Lyon, France – Biovision, a biennial international event on life sciences, brought together some 3,000 participants this week to discuss and compare experiences in different fields, including personalised medicine, how best to use natural resources and the impact of climate change on food security. Open innovation was presented as a way forward, and the role of companies in mitigation was deemed important but with ethics. 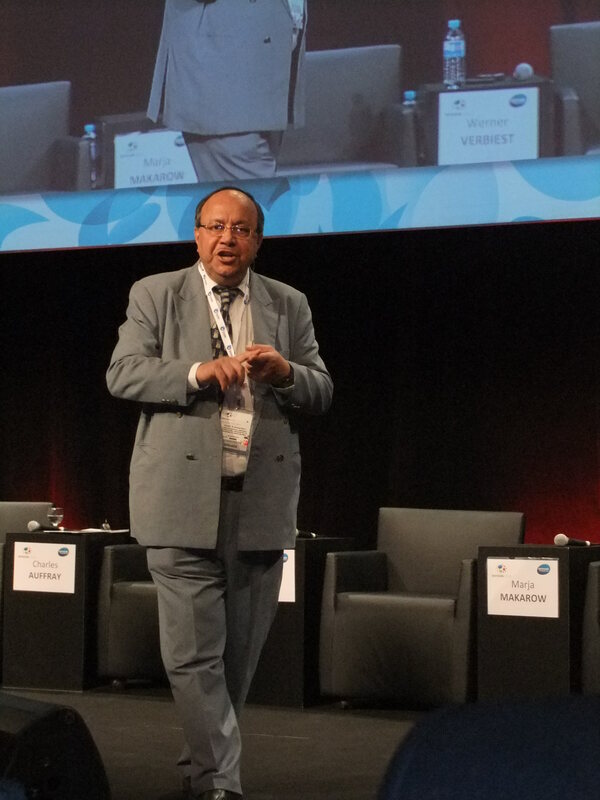 Biovision took place from 24-26 March and gathered policymakers, academics, the private sector and civil society. One session looked at how to bring personalised medicine into action. Samir Brahmachari, director general of the Council of Scientific & Industrial Research and secretary to the Indian Department of Science and Industrial Research, talked about open source drug discovery. Open innovation embodies the notion that in the new economy, sharing is necessary, he said, mentioning that for centuries innovation was open in India, citing the Kama Sutra or Ayurveda. The premise of open source is that access to affordable healthcare is a right for all, Brahmachari said. The cost of DNA sequencing and synthesis dropped significantly in recent years, while research and development costs took the opposite trend, he said. “It just does not make any sense,” he said. “We are doing unnecessary research on poor drug candidates,” he said, adding that “Over 80 percent of listed failures are due to poor efficacy and safety,” he said. Brahmachari introduced the Open Source Drug Discovery (OSDD), which is an Indian publicly funded organisation. According to its website, OSDD is a “Council of Scientific and Industrial Research (CSIR) India led initiative,” and holds a variety of patents in biological, chemical, engineering, physical and environmental science. Launched in 2008, the OSDD’s first target is tuberculosis, due to its high incidence and mortality rates in India and other developing countries. “The OSDD model is scalable and applicable to all diseases without market,” the website says. Brahmachari said all contributions from researchers on the OSDD portal are attributed to the authors. The OSDD licence considers information available on the portal as “protected collective information,” and this information is held on behalf of OSDD by CSIR “as a trustee holder with legal powers and authority for legal action,” according to the OSDD. “We really need to have a balanced view between health as a right and health as a business,” Brahmachari said. Among the problems met by research in this area is that “we have an entire universe of funding” for hypothesis-driven research, Friend said. In the United States, he added, it is difficult to get funded when not working on an hypothesis-driven research. In the world of data-driven medical research “there is a real risk of generalising from the particular,” he said, adding “We have all whole legions of tenured professors driving down their hypothesis-driven work which is not necessarily helping us,” he said. Another problem is that despite the amount of data delivered by the genomic revolution, without information from patients to match that genotypic information “we’ll not be able to sort it out,” he said. The complexity of personalised medicine could be helped by “four important mini-revolutions that have been going on,” he said: the ability to store data in one place and have it available from anywhere in the world; the ability for the public to do some research and share it; the ability to use the crowd to solve problems; and the ability to do top-down modelling. During another session focusing on the impact of climate change on food resources, Marc Van Ameringen, executive director of Swiss-based non-governmental organisation GAIN, said that in the days of the green revolution, investments in IP in food security were seen as a public good. “But with that culture falling off the agenda for two and a half decades, it was really the private sector that has picked up most of the responsibility,” he said. 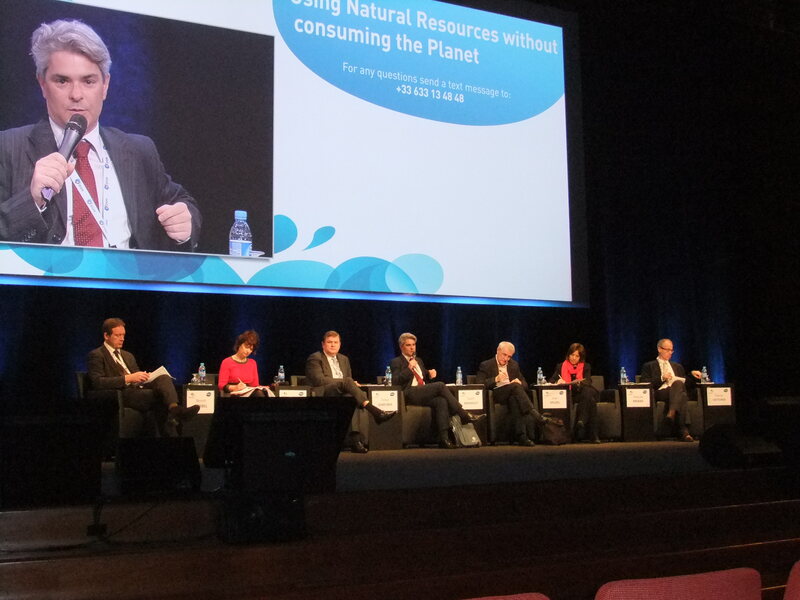 Biovision also held a plenary session on using natural resources without consuming the planet. Feike Sijbesma, CEO of Royal DSM, a Dutch company active in health and nutrition, said the role of companies is “huge”, and increased in the last century “tremendously.” Companies have local, regional and global impact, and “the ability to destroy parts of this planet and they frequently do so… and the power to restore and do good for the world and they frequently do so,” he said. With power comes responsibility, and companies have some keys in hand to solve some of the problems the world faces, but they “should work for the different stakeholders and not only for their shareholders,” he said. The world is facing several challenges, among which is climate change, he said, but also an unsustainable distribution of wealth. Some 2 billion people out of the 7 billion of the planet go hungry and 1 billion people are suffering from diseases such as obesity, and diabetes and they consume half of the world’s pharmaceutical production, he said. Anne Glover, chief scientific advisor to the President at the European Commission, said the generation of knowledge is key, but knowledge is useless if “we don’t communicate it.” She said citizens could make requests to their politicians, business and policymakers, as “it is our planet.” But “citizens also have the responsibility to engage in the knowledge that is being generated,” she said. “If we have a very strong ethical framework for business it would give citizens a strong feeling that knowledge is being used appropriately and with their agreement, to deliver solutions for major problems in the future,” she said, but it would also be good for business since it gives them a leveled playing field to operate if there is a strong code of ethics. "Biovision: Personalised Medicine, Climate Change, Sustainability Need Innovation" by Intellectual Property Watch is licensed under a Creative Commons Attribution-NonCommercial-ShareAlike 4.0 International License.